Okay, I will admit it right up front, this is a silly post. However, it is something that amused me. If dumb stuff is not your thing, look away now! I was shopping recently in Harry and David getting some of their good tasting but probably not too good for the waistline snacks. 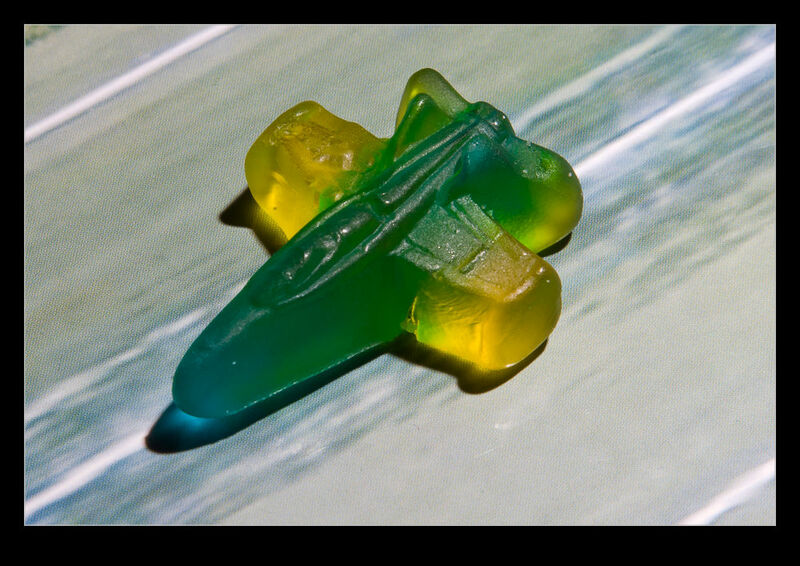 They had some gummy candy called Jetfighter Gummies. What could be better for someone like me. Bought a pack and took them home. 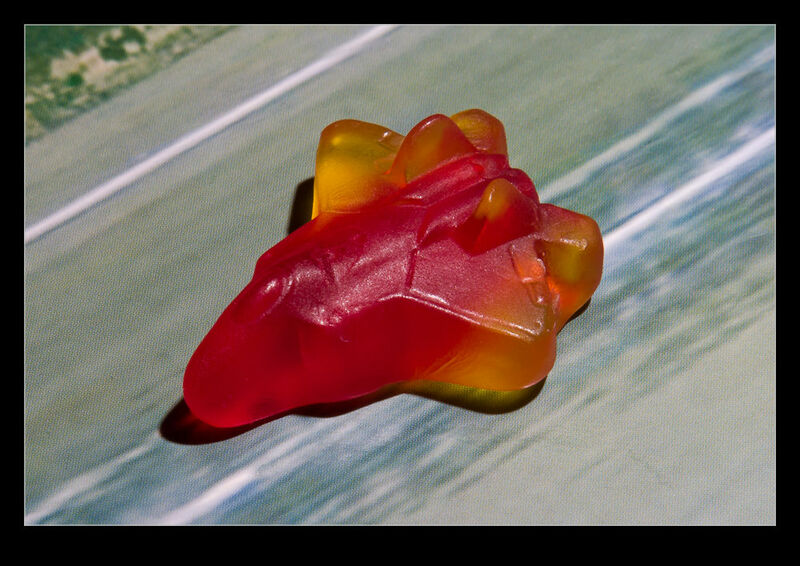 When I opened them up, not only where they gummy jets, there was a selection of different aircraft, all reproduced with a surprising amount of detail! I checked through and they had a B-2, an F-117, an F/A-18, and SR-71, an F-15 and an F-22. 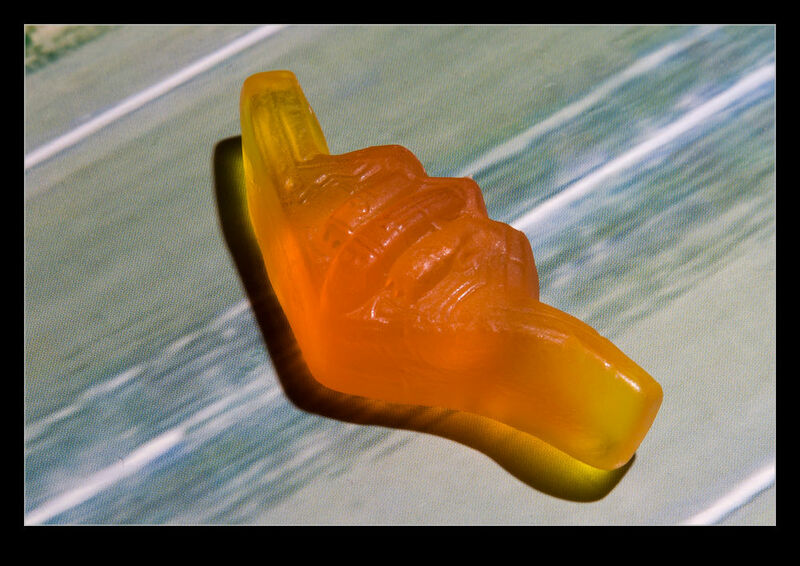 Each was reproduced in some detail including panel lines. I was amazed. 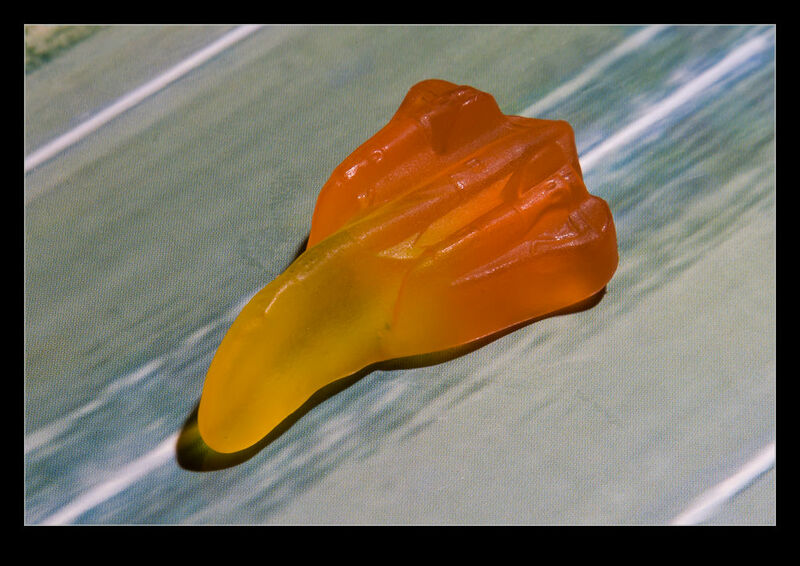 After eating a bunch of them, I thought I ought to reproduce them to prove I wasn’t making this all up. The accompanying shots are the fleet as it was left by the time I got around to taking the shots. Some of the remainders were not the best of their type and all of the F-15s had been eaten by then – or withdrawn due to fuselage cracking, who can be sure? There were still F-22s on the ground so nothing inaccurate about that! Might have to pop back at some point and get some more. I will have a bigger air force than the UK if I buy a couple more packs! 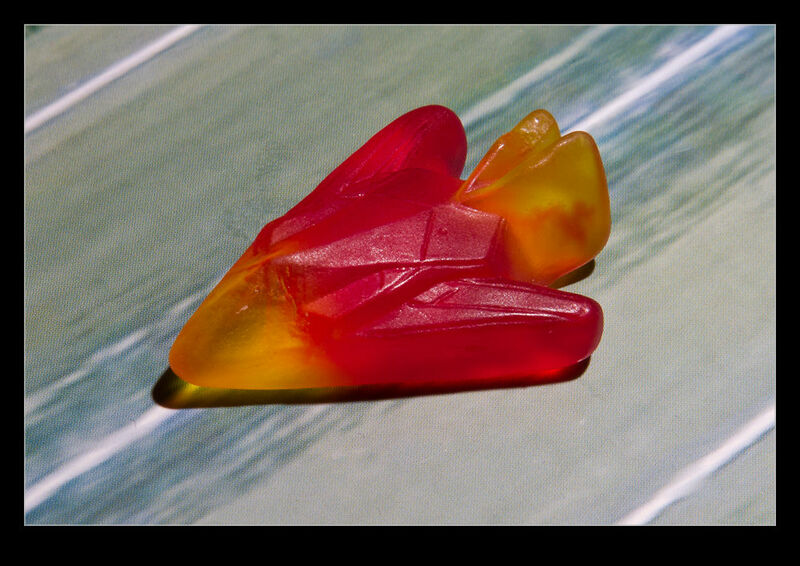 This entry was posted in aircraft, photo and tagged candy, fighter, gummy, jet. Bookmark the permalink.